I have received a lot of questions as to how you can pull off non-maternity pants and what belly band to use. I only got two pairs of maternity pants, otherwise I used the Belly Button Band to pull off my normal pants. What is nice about the Belly Button Band is that it attached to your pants and allows them to expand with your pregnant belly while holding them in place. 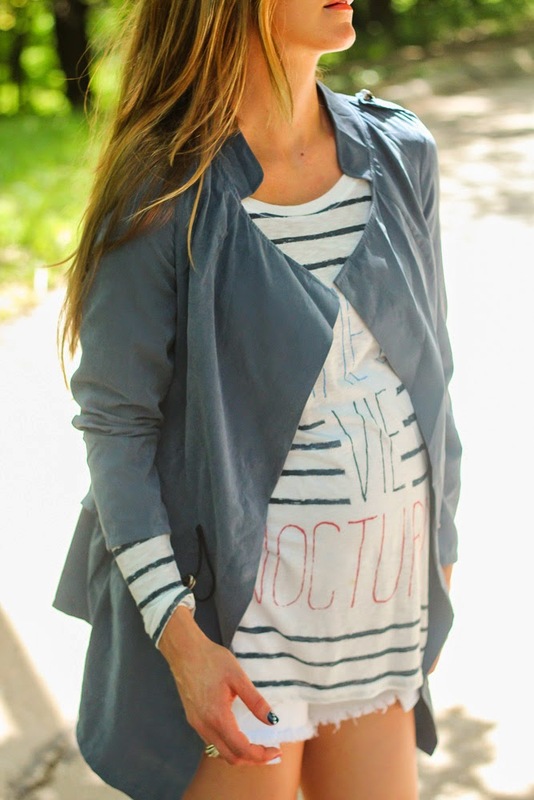 Perfect for in between sizes or avoid buying maternity jeans all together. I plan on using after my baby is born too! I am excited to share a promo code for readers to receive two FREE belly bands! The maternity band is under $20 and covers your waist, while the Maternity Body Band is just under $40 and covers your whole belly. 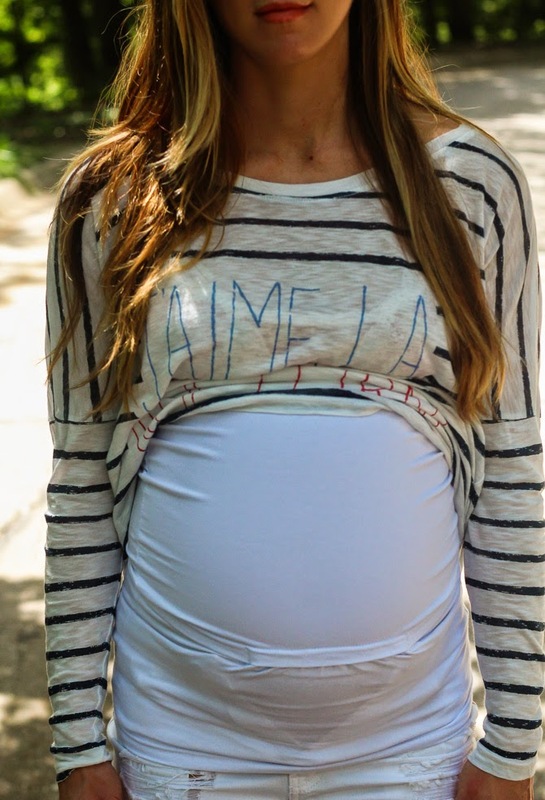 Use promo code CELLABBB, which works for BOTH-either 100% off 2 maternity bands or 100% off one body band. Offer runs while supplies last. You just pay shipping! I received a size small, which fit, but a bit snug, I would have gone up to a medium. Happy shopping! Love this look! 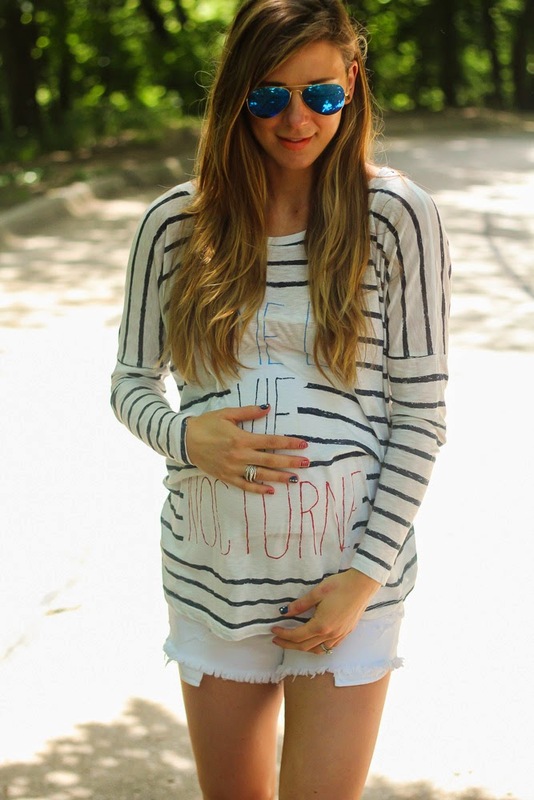 You have the BEST maternity style!